In a tragic victory for the Immigration and Customs Enforcement (ICE), the government will now be permitted to indefinitely detain immigrants they wish to remove from the United States without granting them periodic bond hearings. The ruling’s mandate includes permanent residents and asylum seekers who committed minor offences for which they had already served time in prison. While the Court’s decision serves the brutally conspicuous anti-immigrant agenda of the current administration, it is important to acknowledge that this case did not originate in the Trump era, but during the Obama years, when Alejandro Rodriguez – a permanent resident from Mexico who was convicted of joyriding and later on plead guilty to possession of a controlled substance – was jailed for three years without the right to ask for a bond hearing. Rodriguez’s eventual victory in court and release from prison was accompanied by the Ninth Circuit Court of Appeal’s decision, which recognised that immigrants may not be indefinitely jailed without a bond hearing – unless it has been established that they will become a flight risk or pose a threat to society if released. 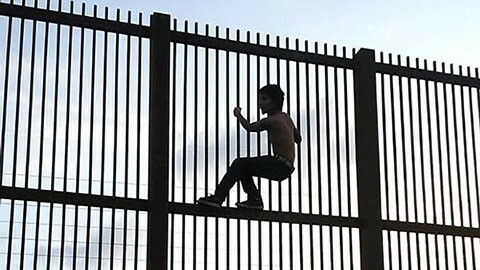 The Obama administration subsequently appealed to the higher court, claiming that it is up to Congress, not the courts, to institute immigration laws, and arguing that those grant the government the authority to detain “criminal and terrorist aliens.” Naturally, the Trump administration took up the case with great enthusiasm. In a most passionate dissent, Justice Stephen G. Breyer blasted the majority’s ruling, which he regards as “legal fiction.” “We need only recall the words of the Declaration of Independence… in particular its insistence that all men and women have ‚certain unalienable Rights,‘ and that among them is the right to Liberty’”, says Breyer in his dissent. There is still hope for immigrants‘ rights, however, as the case has yet to be hermetically sealed. In its decision, the Supreme Court sends the matter back to the lower court with two major unanswered questions: is it unconstitutional to detain non-citizens without bond hearings? And, can the ruling be contested through a class action as opposed to on an individual basis? The American Civil Liberties Union (ACLU), who represent the plaintiffs in the lawsuit, categorically argue that a class action would be appropriate in this case, seeing as many immigrants cannot afford to hire legal representation – which may prevent them from challenging the decision on their own. The recent ruling of the Supreme Court mirrors the pervasive sentiment in the U.S., according to which immigrants aren’t fundamentally endowed with human rights. This toxic belief has been reflected in decades of draconian immigration policies, carried out by numerous administrations, which strip migrants and immigrants from their humanity, preys on their vulnerability, and intimidates them into submission. It is safe to say that only when Americans begin to look past the narrative they’re being sold about immigrants and view them as human beings worthy of equal rights, will the authorities be compelled to terminate their war on non-citizens.